John starred in the pre-West End run of the musical about the extraordinary lives of Zelda and F Scott Fitzgerald. 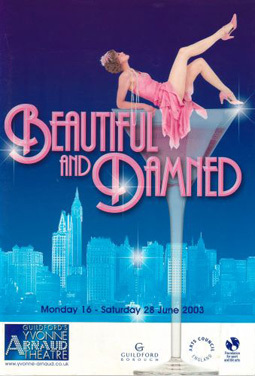 Directed and choreographed by Craig Revel Horwood, Beautiful And Damned follows the successful young author and his stylish wife. Their outrageously glamorous and fashionable lifestyle is the envy of all as they spend their way through The Jazz Age. But behind this glittering façade of high living, a tragedy of epic proportions awaits them.